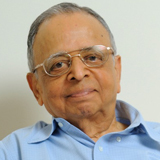 Our founder, the late Balvant Parekh established Pidilite Industries in 1959 at a time when there was hardly any awareness or knowledge about synthetic adhesives in Indian markets. We at PIL-IP pride ourselves on keeping pace with and fulfilling the changing needs of our customers ranging from small regional companies to multinationals across the world. It is this adherence to customer intimacy that has helped us build lasting bonds with the people we serve. Today, five decades later, Pidilite Industries Ltd. (PIL) is the largest manufacturer of adhesives in India reputed for its top-quality consumer and speciality chemical products, many of which, including the Fevicol brand, are market leaders. Madhukar B. Parekh, son of Balvant Parekh takes over as the new Chairman and M.D.